GRAFENWOEHR, Germany — U.S. citizens living in the European Union can benefit from many EU wide-laws and regulations. The EU regulates laws to match across its 28 member countries as well as to strengthen the customer’s rights. Some of these regulations are as simple as standardizing the refuse bin or the maximum bend factor of pickles, but there are other more beneficial regulations for customers. Most customer protection laws apply to anyone living in Europe, including U.S. customers living here under the Status of Forces Agreement. Some of the benefits require an EU passport. If you travel with an EU cellphone contract to other EU countries, the extra roaming fees have been limited. The domestic phone call price is limited to 19 cents per minute, for incoming calls 6 cents, for SMS 20 cents and for each megabyte of data 20 cents. Receiving an SMS has to be free. All prices do not include VAT tax, but U.S. personnel stationed here might be able to use forms from their local VAT office depending on the contract. Some of the newer phone contracts have the feature to have the same minutes and data included wherever you are in the EU. This means you have no extra costs for the included minutes and data. Please check details with your phone provider. Please be aware that some providers offer Wi-Fi calls or voice-over-WiFi calls. 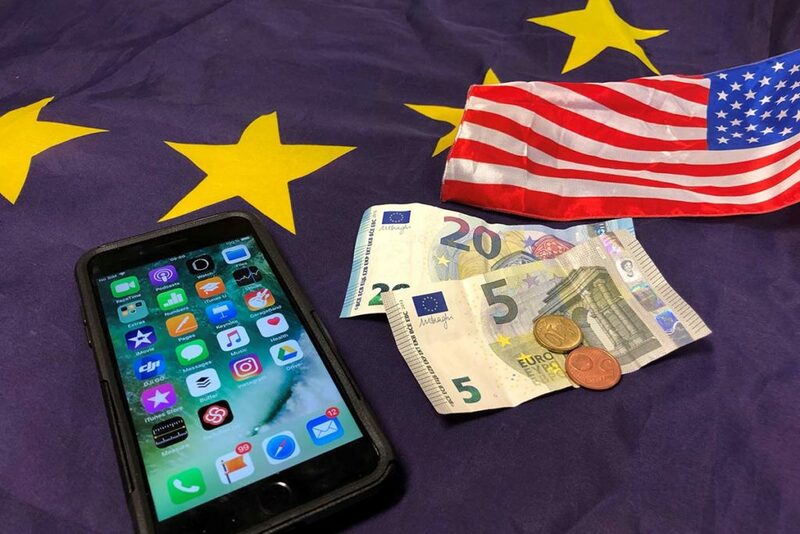 This can be a money pit if you are in a foreign EU country making a domestic phone call. The system will identify your home location and consider the domestic call a foreign call. In this case, switch off the feature to not be surprised by your next phone bill. This law allows you to change your electricity, gas or phone provider. The open market provides several sources for electricity, gas or phone contracts. You still need to be aware of your minimum term of the current contract. In the case of landline or cell phone contracts, the old provider is obligated to turn over your current phone number to the new provider upon request. Any online purchase in Europe can be sent back for reimbursement within a 14 day period. The customer has to pay for the shipping costs. Customers should double check the vendor‘s conditions because some companies also pay the return shipping. NOTE: APO deliveries are not affected by this regulation. Online shops are prohibited to geo-block countries within the EU. This means all stores have to be available across the union. Be aware that a U.S. IP address can still be blocked in some cases. This usually can happen when you are on post or if you are off post using a VPN service. The solution is to use a VPN service on post or to switch off your VPN service when off post. In many EU countries, there are fees if you pull money from another banks’ ATM in the same country. The same fee is the maximum fee for bankcards from other EU countries. Foreign fees in the EU for U.S. credit cards depend on your credit card, but this fee should be the same all over the EU. The Eurozone is 19 different EU countries that use the euro as currency. It’s not necessary to exchange money or calculate prices to your home currency. For a full list of the 19 countries, visit www.ecb.europa.eu. There are boarder controls between all Schengen countries in the EU. The Schengen Agreement covers most of the EU countries. Crossing the boarders in the Schengen area is similar to crossing the boarders between different states in the U.S. For more information and a full list of the countries, visit https://ec.europa.eu/home-affairs/what-we-do/policies/borders-and-visas/schengen_en. For travel resources such as public transportation or how to obtain an international driver’s license, visit home.army.mil/bavaria. You can live and work in any EU country. This benefit requires an EU passport, however a SOFA stamp or card provides similar rights in the host nation country. The EU passport is a live and work permit for any other country. The paperwork to move from one country to another is as simple as signing one form in the new city in which you want to stay. This also covers some Caribbean islands, which are part of Europe.